Spooner & Associates, P.C. is an Atlanta-area law firm specializing in family legal matters. The attorneys of Spooner & Associates have years of experience and always put their clients first. 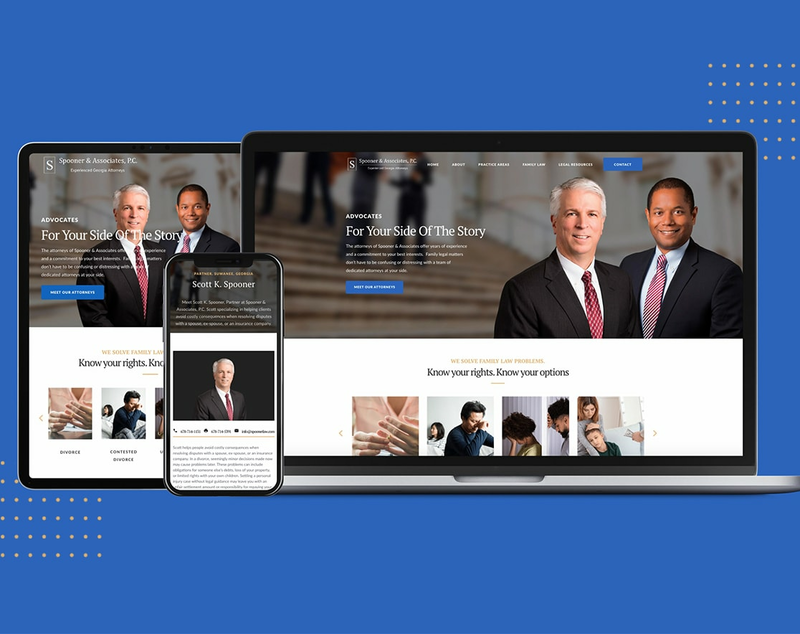 In order to improve the firm’s online image and improve search results in local markets, the attorneys of Spooner & Associates turn to the experts at Front Porch Solutions. Through search engine optimization and a website redesign, Front Porch Solutions was able to far exceed the goals of Spooner & Associates. For nearly 60 years, GemSeal has manufactured, supplied and specified pavement preservation products for commercial and industrial applications. As an industry leader, GemSeal wanted a dynamic yet modern website to reflect their authority and serve their client needs. When it came to the website redesign, Front Porch Solutions took a hands-on approach and created a multifaceted, yet easy-to-navigate, mobile-optimized platform. With the website redesign GemSeal has improved visitor experience and reached their inbound marketing goals.